Lowe is the latest star to portray the fried chicken mogul. 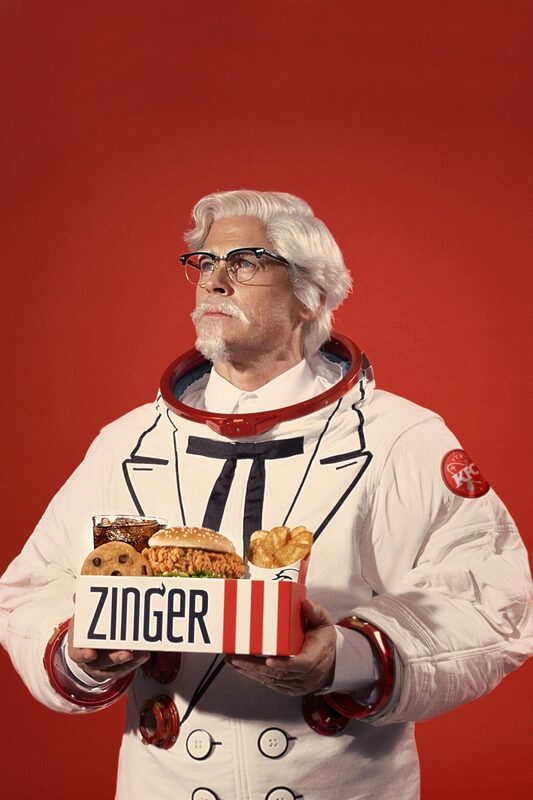 Rob Lowe is about to get finger-lickin’ good. The actor, who recently announced his own unsolved mysteries show on A&E, becomes the latest to step into KFC’s Colonel Sanders’ white suit. Lowe joins the likes of Vincent Kartheiser, Darrel Hammond, Jim Gaffigan, and Norm Macdonald in portraying the KFC founder. Lowe premieres in their new ad promoting the release of the Zinger spicy chicken sandwich in America. 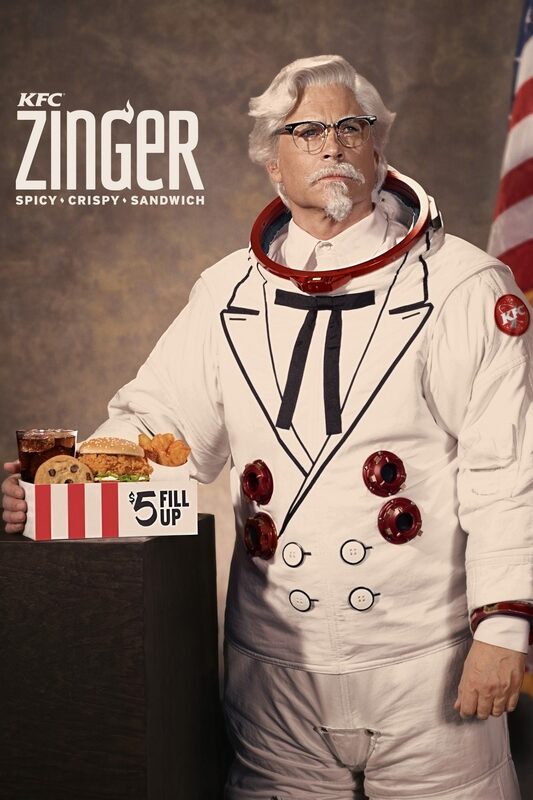 In his take on Colonel Sanders, Lowe will boldly go where no Colonel has gone before; he shakes up the traditional white suit, appearing in a space suit decked out to resemble the Colonel’s signature double-breasted look. Watch KFC’s latest spot, featuring Lowe, above to visit the final frontier for chicken, and check out the still images below.